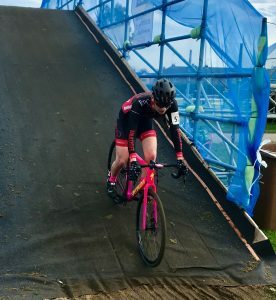 I have just returned from the first round of this year’s British Cycling National Cyclo-Cross Trophy Series in Derby, a busy two days with some excellent racing and great results for riders I work with. For the Banjo Cycles Development Team it was their first major event together and I spent a lot of time helping and socialising with the riders and their parents. 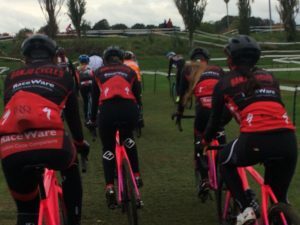 They all rode well and come back with another step in their development as CX riders climbed. It will be interesting and exciting to see how they fare over the next 5 rounds as we travel around the UK together. 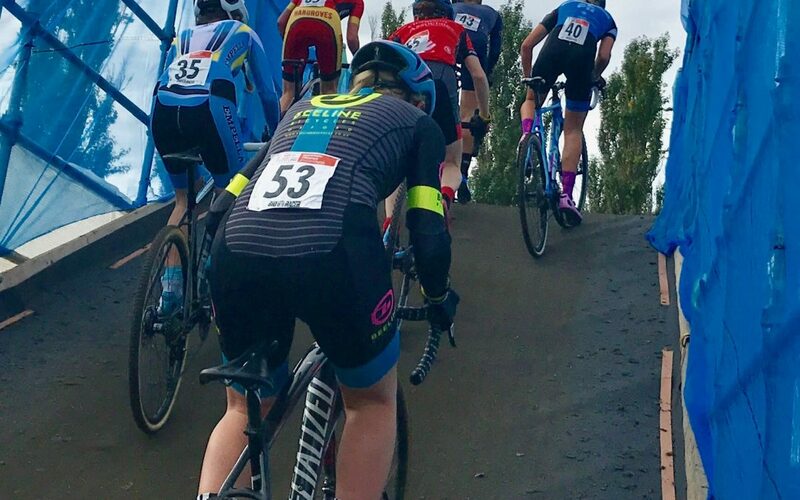 I don’t really want to pick out one rider above the others in the Banjo team but I do believe Emily Conn is worthy of a mention. She reminded me it was three months do the day a doctor in France had told her she wouldn’t make this race after her horrible accident. But, there she was having her best ever Derby National race and starting to look strong again. 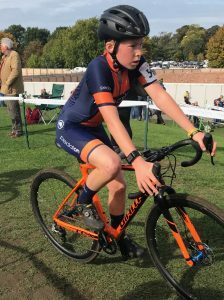 One of the youngest riders I help, Arlo Carey had his best ever National result in the U14 boys – 11th place. He sent me a note saying he was “ sooooooooo happy” – and so he should be – his hard work and following a plan starting to pay off. Tom Clarke also had a good attacking ride in his Junior race, really working hard to move up the field. Turning to other riders I help, I caught up with Jenson Young after he rode to a very strong second place in the Junior race behind World Champion, Ben Tullet. Only 10 seconds adrift in the end. We reflected on the great road season he’s had and plans for the future Cross season and beyond. As the day progressed I knew there were two other riders who would also perform well. They and I were not disappointed. 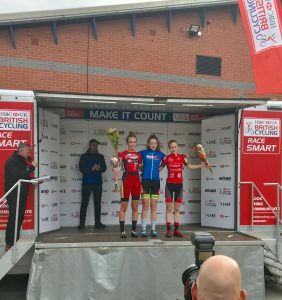 In the Elite and Juniors Women’s race Katie Scott came home 2nd Junior. A dream finally coming true. The emotion showed as she crossed the line and afterwards. It made me well up too! Then onto the final race of the day, the Senior men. 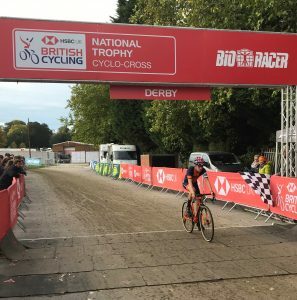 Callum Macleod stepping up a category as a first year U23. He came an amazing 7th overall and 4th U23 riding strongly and maturely. So that was round 1, I’m exhausted after the excitement of the day and now dwelling on what’s to come from these young riders. Well done all and roll on round 2 in Irvine, Scotland.